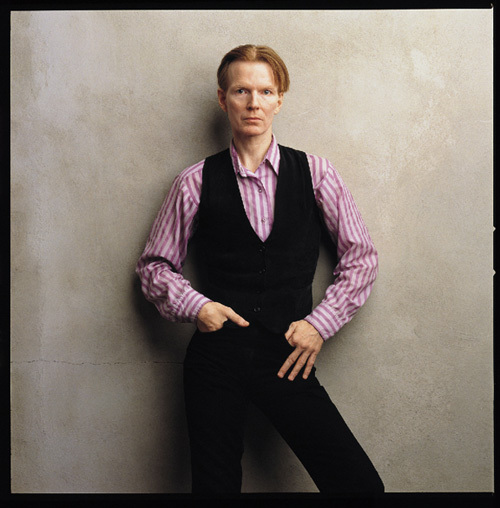 Jim Carroll, the legendary poet, musician and hipster, died of a heart attack on September 11, 2009. A little over twelve years ago, on August 26th, 1997, Jim visited my studio to talk about Lou Reed. (I was directing Lou Reed: Rock and Roll Heart for American Masters at the time). We shared a wonderful afternoon together. Jim had an masterful sense of rock history, and for my film, eloquently explained the rise of Glam Rock and the emergence of Punk Rock as they related to '70s culture. He was charming, funny, and super cool. And, what an incredible speaking voice. After the interview, we had a short photo session against my favorite cement wall, and then some pizza upstairs in the kitchen.